The Foundation Architects love to hear about the specific needs of our dental clinic clients. 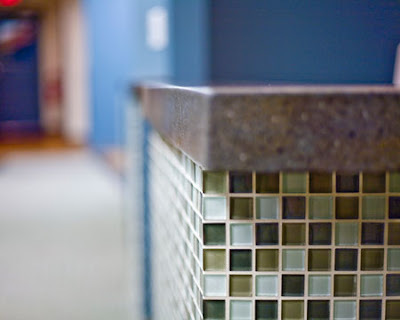 We incorporate these into our designs to create a welcoming environment for the staff and patients. Note how the tiles create a reflective surface that brings more upbeat energy to the waiting area. Follow us for more dental clinic details and design ideas.